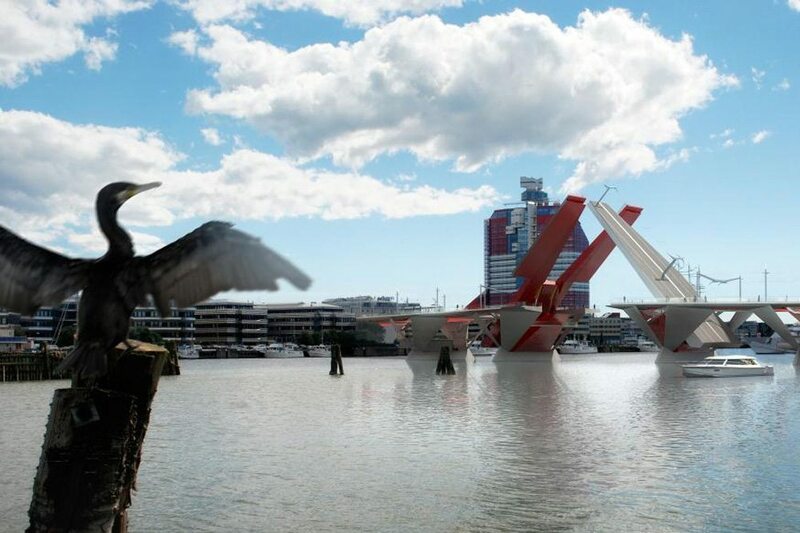 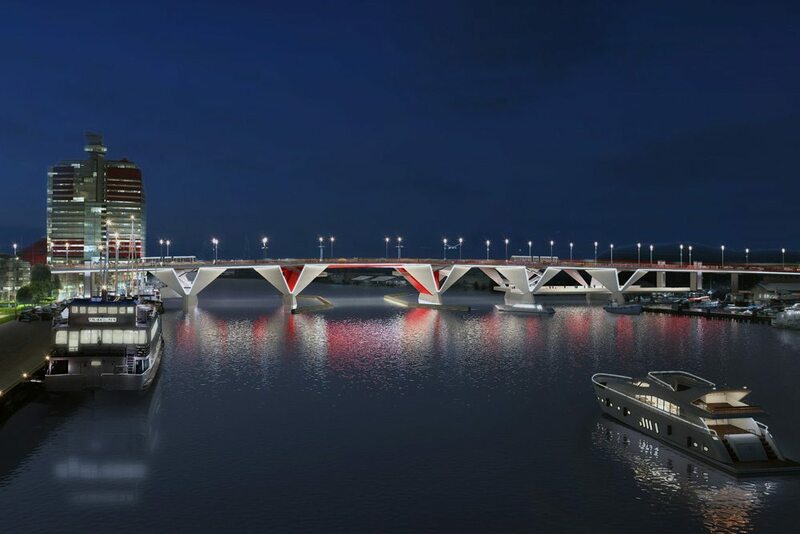 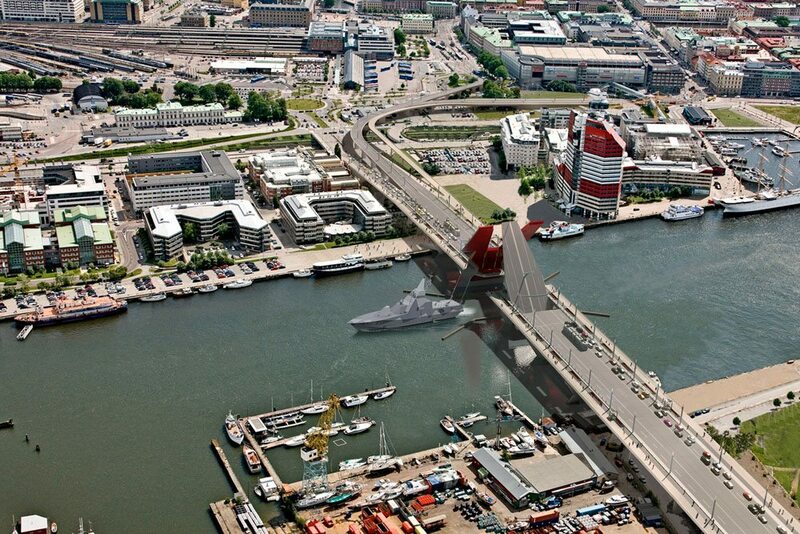 The project is a replacement highway and tram bridge across the Göta Älv in central Gothenburg. 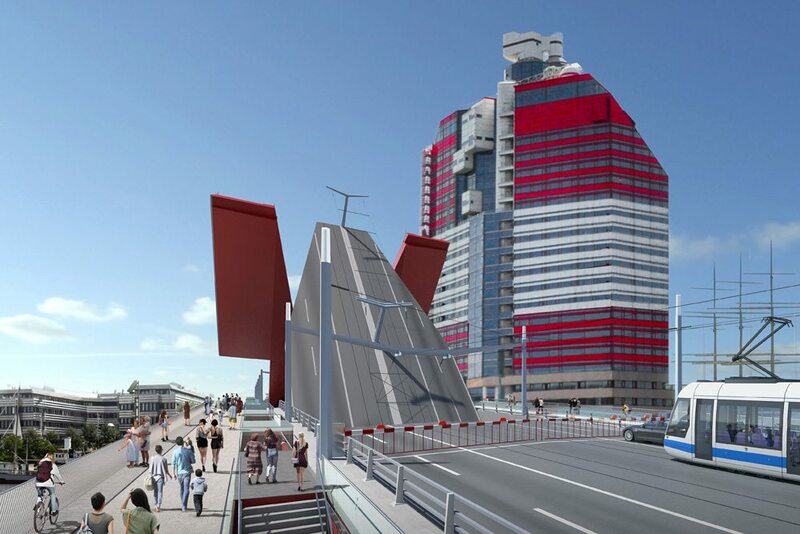 The bridge opens to maintain passage for vessels through a 30m wide navigation channel. 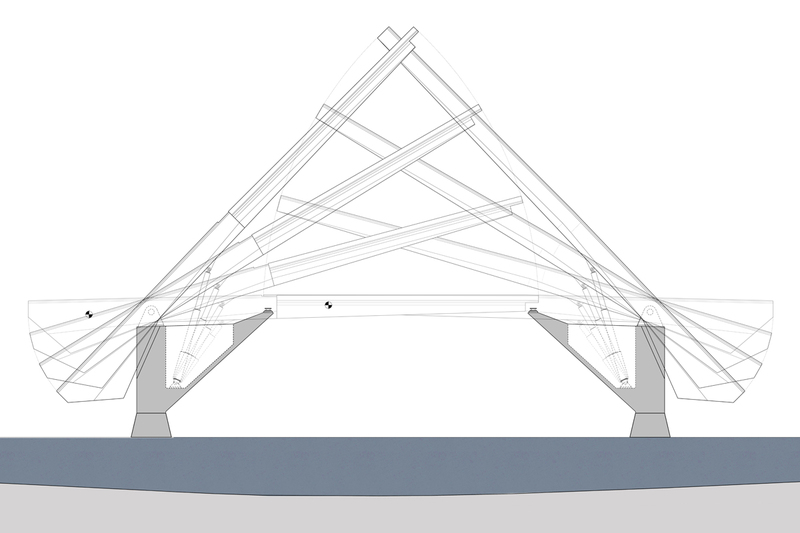 Interlocking castellated bascule leafs are formulated to allow the deck to be fully supported in the closed position due to the heavy loading of trams. 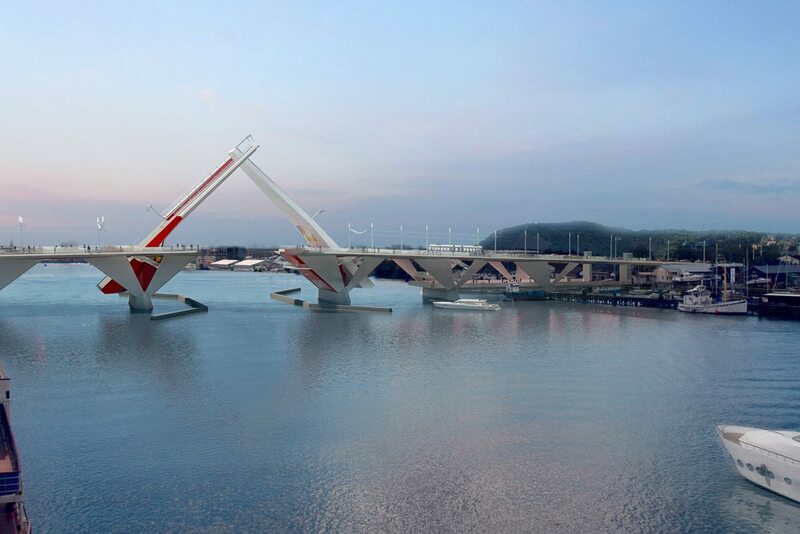 The open bridge forms a distinctive motif on the city skyline. 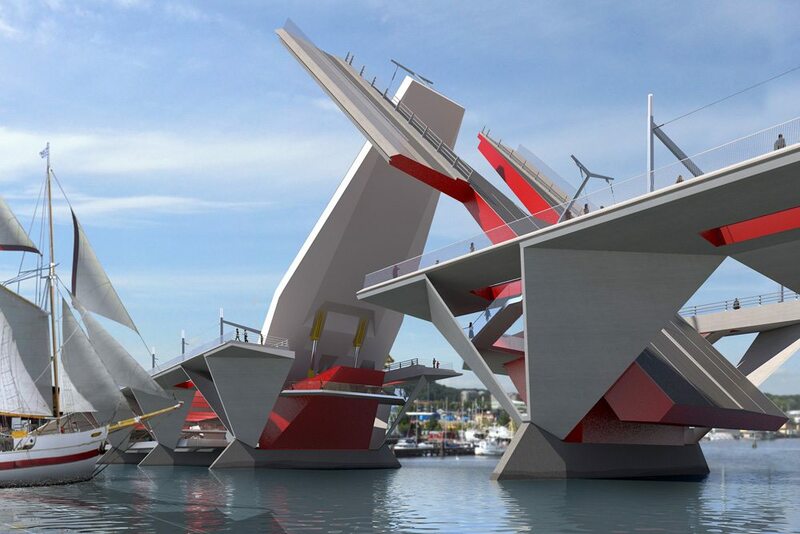 The bridge piers are arranged as cranked concrete plates which appear to fold into the deck structure, articulating an origami-like form. 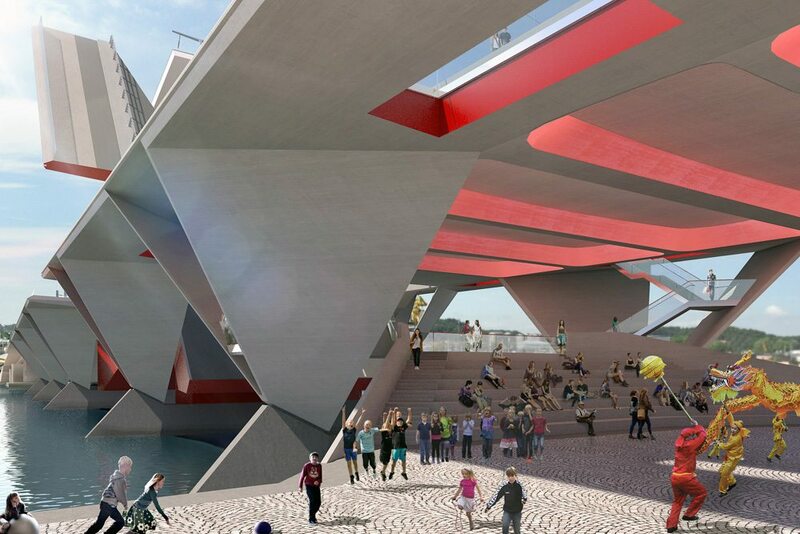 The high level crossing creates a substantial under-croft which is utilised as a roof over a vibrant pedestrian realm on jetties extending beneath the side spans.